Korean. 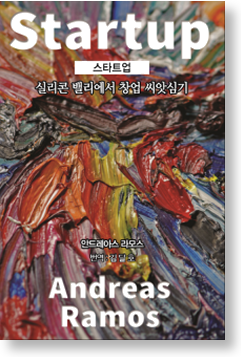 Translated by Dale Ho Kim, Patrick Chung, and Gina Jiyoung Kim. Available in South Korea. French Translated by Cyril Ghattas. Available in French on Amazon worldwide. Spanish via Amazon worldwide. Translated by Edgar Estanislao. Coming January 2019. Here are several useful documents. Right-click and copy. One-page Business Plan for Your Startup (Word document). A summary of your startup on one page. Download, edit, and use it for your startup. Ten-page pitch deck (Powerpoint). Download, edit, and use it for your startup. Need a business plan? Free business plans at BPlans.com. However, read my book BEFORE you start writing your 60-page business plan. Accelerators and incubators: YCombinator.com, FoundersSpace.com, 500Startups.com. National Business Incubator Association (NBIA.org), Global Accelerator Network (GAN.co). NBIA has a list of incubators around the world. See also Seed-DB.com. Legal documents (incorporation, term sheets, NDA non-disclosure agreement, stock distribution, and capitalization tables) for free at LegalZoom, Nolo, and Clerky. Analyst reports at online brokerage services, such as Charles Schwab, Fidelity, and E*Trade. Yahoo Finance Report Screener at finance.yahoo.com/screener. Reuters also offers reports. The Big Book of Content Marketing. Learn about content marketing. Amazon Best Seller. Get it at Amazon. How to Write a Book! Learn how to write books to get more opportunities and jobs. #1 Amazon Best Seller. Get it at Amazon. #TwitterBook. Learn about Twitter. #1 Amazon Best Seller. At Amazon. From Zero to IPO by David Smith (2013). David has a degree in computer science, an MBA, and a law degree. He has built a bunch of startups and sold several. 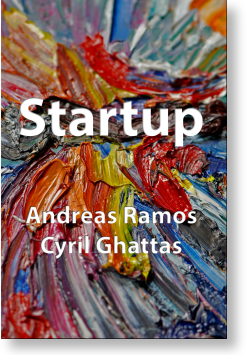 His 400-page book details the steps to building a startup for IPO. Appendix 1, 2 and 4 covers valuation, negotiating the deal, and the M&A process. Go Zero-to-IPO.com or free PDF. Dollar Value by David Smith. Covers valuation techniques and how they apply to startups. Published by Cambridge Manhattan Group. Patents, Cloaks & Daggers: Inside the Secretive Patent Trade by David Smith. Published by Cambridge Manhattan Group, LLC. 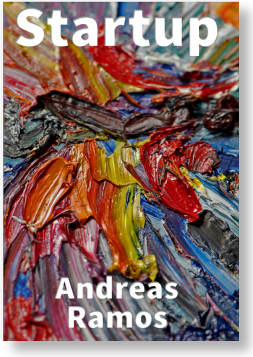 This book explains the role of patents, strategies by corporate decision-makers, and the patent wars with special emphasis on high-tech and the patent trading marketplace. Free PDF. An IP Strategy to Protect Your Business: A Primer on Developing and Implementing an Effective IP Strategy by Greg W. Benoit. Published by Tynax, 2017. Free PDF. High Stakes by Charles Ferguson describes how he sold his startup for $400m. M&A Making the Deal Work /a> by Deloitte is a useful overview in 130 pages of the M&A process. See Deloitte for more articles. Search Engine Marketing, Inc. by Mike Moran and Bill Hunt (IBM Press, 2014, 3rd ed). Mike Moran is a former IBM Distinguished Engineer and was head of SEO at IBM for 15 years. Bill Hunt is a global expert on SEO. This is the leading technical book on SEO. Google Adwords by Brad Geddes (3rd ed). I’ve read practically every book on Adwords and Brad’s book is the best. Buy it. Study it. Use it. The Business of Venture Capital by Mahendra Ramsinghani (2nd ed.). Like a college textbook on the VC industry. The leading book on how venture capital works. The author has 15 years of experience as a VC. Venture Deals by Brad Feld (3rd ed., 2016). He is also a VC and explains how VC works. Founders at Work by Jessica Livingston. As co-founder of Y-Combinator, she interviewed 25-30 startup founders who tell how they built their startups. Self-Publishing Boot Camp Guide for Authors by Carla King (4th ed., 2017). Excellent hands-on guide to publishing your books. At Amazon. Startup Owner's Manual by Steve Blank (2008). This book introduced the idea of lean startups. It's a great book but too many tables, charts, and checklists in a 600-page $40 hardback textbook. Lean Startup by Eric Ries (2011). He developed Steve Blank’s Startup Owner's Manual into a shorter book on lean startups and pivots. The core idea is good, but the rest of it (metrics, statistics, scientific method) doesn't work. Running Lean by Ash Maurya. A good guide for the transition from seed to mid-stage. BTW, you can get summaries of business books at Edify.me, BizSum.com, GetAbstract.com, and Summary.com. Koober.com offers book summaries in French. A bunch of blogs and sites that founders said were useful. If a link doesn't work, let me know. Find accelerators and incubators at the Global Accelerator Network (GAN.co), National Business Incubator Association (NBIA.org), angel.co, and seed-db.com. Associations in Silicon Valley: InnovationChain.org (Chinese), BACES.net (Chinese), TiE (India), Silicon Vikings (Scandinavia), Silicon France, SVASE (for engineers), BASES (Stanford engineering students), ASES (ases.stanford.edu), Stanford Women in Business (SWIB), BEA (Berkeley Entrepreneurs Association). The groups for students are only for enrolled students. Ideas in the book: 500Startups, accelerators, acquisition, advisors, analytics, board meetings, board of directors, business bank account, business plan, co-founders, co-working spaces, connections, convertible notes, digital presence, dilution, due diligence, elevator pitch, Founders Space, funding, grandmother pitch, incorporate, incubators, intellectual property, investors, IPO, jobs at startups, lawyer, lean startup, merger & acquisitions, Palo Alto, pitch decks, Silicon Valley, startup documents, term sheet, unicorns, valuation models, VCs and venture capital, vesting, and Y-Combinator. If you find errors in the book, let me know.